Commuters to London from the South Coast have further rail misery ahead and should consider working from home more. With planned improvements to the Brighton main line due to start next February, the likelihood of being late for that all-important face-to-face meeting with your boss is much more likely. Many companies already have the answer: encouraging more of their workforce to be more productive by staying at home – either on a permanent or temporary basis. Gary Jowett, from Computer & Network Consultants in Brighton, said: “Expecting your employees to spend up to three hours on a train – just to see the whites of their eyes in a London or Croydon office – is spectacularly perverse and Ostrich-like. 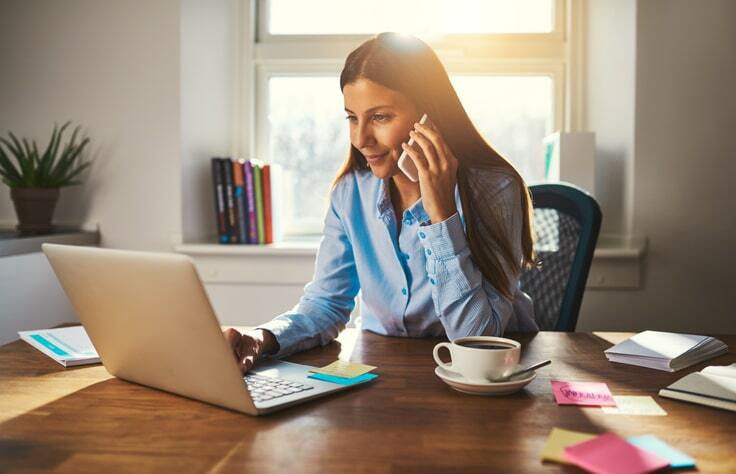 Effective and affordable remote working – using increasingly-powerful internet connections and collaborative working tools – is now the sensible option. Network Rail has warned that the up-coming rail-improvement works will mean longer journey times for passengers. A lot of the work is planned at weekends but it’s highly likely weather disruption and other delays will mean the work encroaches on the Monday-to-Friday commute more than expected. So, the next six months is an ideal time to take the plunge and roll-out more home working solutions across your organisation because flexible working is so much easier now . If you’re unsure which home-working tools to deploy, then contact an independent IT specialist to get an objective view of all the options. You’ll benefit from their experience of dealing with a wide range of different organisations. For example, with Office 365, many applications you use in London can be employed anywhere there’s a good internet connection and secure cloud-based services make it much easier to support a home-based workforce with full back-up of all IT-based services, including mail servers and data storage. Collaborative tools such as Skype for Business help you keep in touch with your staff every minute of the day if necessary. You can run virtual team meetings, view presentations and share and collaborate on documents remotely. You can do all the things you do in London – without paying a high price for your lunchtime sandwich!